As the dust settles on CES and all of the big gadgets have astounded or disappointed, it’s time for another round up of the little devices that weren’t notable enough to warrant their own coverage but still deserve plenty of love. It’s been about a year since the fidget spinner fad died off and in the meantime Apple’s AirPod wireless headphones have exploded in popularity. Why not combine both phenomenon into one unnecessary but useful product? 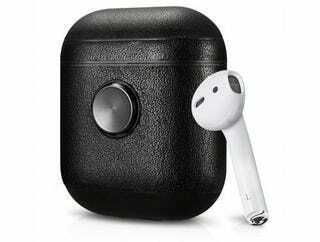 Air Vinyl Design’s new AirPod case with built-in spinning capabilities is a must have for anyone who experiences high levels of anxiety about misplacing their expensive headphones. Rest assured that you have those headphones with you all the time as you fidget away your fears. ZenPods are available for purchase now for $40/£32. 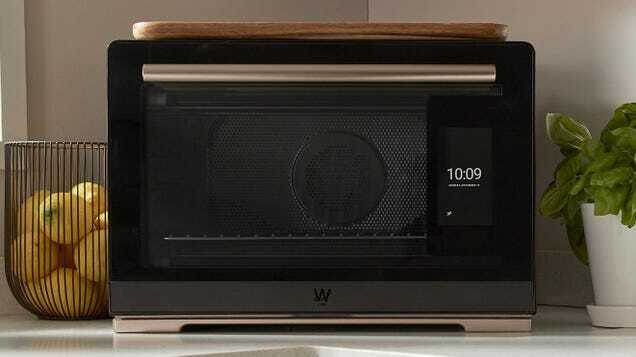 Whirlpool claims its first smart countertop oven can detect what kind of food you’re cooking and heat it just right. It has 11 dynamic cooking modes and it comes with a camera inside that lets you monitor your food on a smartphone app. And yes, it has built-in integration with Alexa and Google Assistant. With a retail price of $799/£626, it’s a little cheaper than the Brava and a little more expensive than the June. If you’re interested in purchasing Whirlpool’s latest appliance, pre-orders are already open but be warned that it’s limited to an edition of 2,000 units. 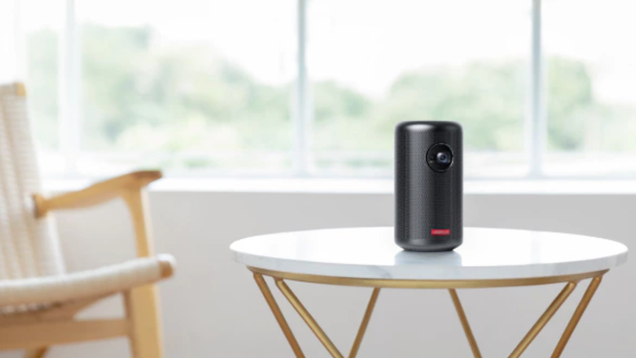 Anker’s can-sized Nebula Capsule projector/Bluetooth speaker combo is a pretty well-regarded all-in-one entertainment solution. The Android TV-powered device is now getting a sequel that adds 780p resolution that’s supposed to be 100 per cent brighter, a more powerful speaker, and auto-focus. 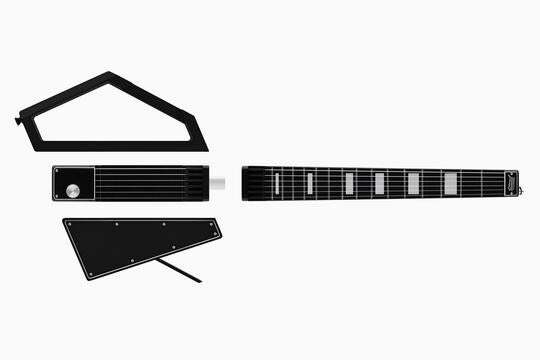 The Jammy travel guitar is a portable instrument that breaks down into four pieces. When disassembled it’s only 17-inches long and easily packs away in your luggage. It’s a legitimate steel string guitar and midi-controller with a pretty decent sound. When its pieces come together, it can plug into an amp or headphones. It even has a variety of onboard effects and the app includes a metronome. Shipments are expected to begin this month and it’s currently $399/£313 to pre-order. That limited-time special knocks over £150 off of the suggested retail price. Nura is expanding its line of specialised headphones and making its personal-tuning tech available to a wider audience. The Australian startup plans to drop its first set of earbuds to half the price of the Nuraphones that garnered strong reviews. Nura’s standout feature is software that tests your hearing through an app and gradually learns how to be perfectly-tuned for your ears. 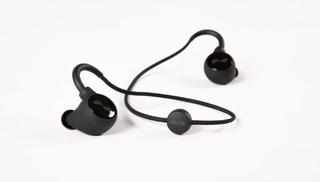 The Nuraloops are wireless earbuds with “all day” battery life, water-resistance, and an optional headphone cable. We don’t have an exact price yet, but they should go for around £200. Look, we’re not usually big fans of invasive smart devices that track your personal biological details and do who-knows-what with the information. But D Free could be a godsend for many people. 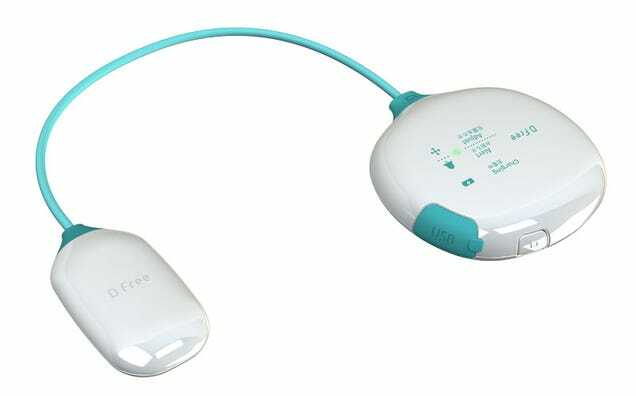 The device attaches to a user’s belly with medical tape and uses ultra-sound to monitors the content of their bladder. A smartphone app notifies the user of how full their bladder is on a scale of 1-10. This is designed for elderly users and people with bladder problems who might not get the message that it’s time to go when it’s truly time to go. You can purchase the D Free for £470 or rent it for £32 per month. A steep cost but a small price to pay for peace of mind. Yoolox’s wireless portable phone charger isn’t the fastest charging option but it has one thing that others don’t: It’s solved the problem of wireless charging on the go. 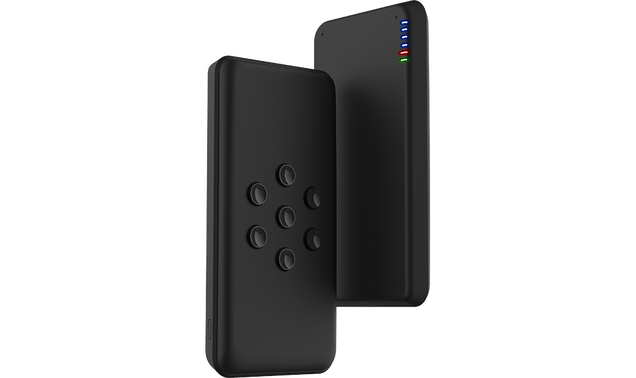 While a traditional portable charger keeps your phone connected to the battery pack with a traditional cable, wireless chargers slide around and disconnect in your pocket. Yoolox added suction cups for a simple but functional solution that it claims can easily hold the weight of an iPhone X. It’s a niche item, but neat. 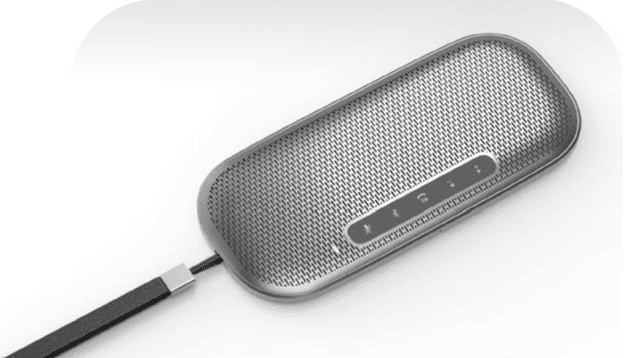 At 11 millimetres, Lenovo’s latest Bluetooth speaker is super thin and promises big sound. It has five manual controls on the face, is splash proof, and can take phone calls. As far as Bluetooth speakers go, this a luxury item. It’ll set you back $150/£118 when it drops in April. Another item for the you-know-who-you-are crowd. 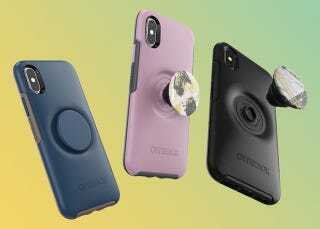 For the ultra-paranoid smartphone user, there’s now a case that combines OtterBox’s legendary protection with PopSockets convenient little customisable handle. Personally, I’ve never had a use for the PopSocket but the biggest thing that bothered me about it was the idea of this big knob hanging off of my beautiful iPhone. The Otter + Pop solves this problem with a more ergonomic design that makes the PopSocket sit flush with the case when it’s retracted. It’s expected to be released in the spring for £60 and will only be available for the iPhone, at least for now. It seems this is the only product on our list that isn’t guaranteed to exist but it’s still worth sharing. Heatworks says its patented Ohmic Array Technology uses electrical conduction to instantly heat water to your desired temperature. The Duo Carafe Kettle is battery powered and looks a lot like a Britta filter—in fact, it also filters your water. 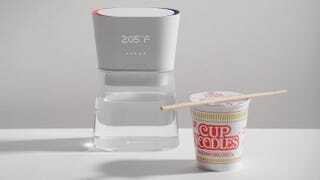 But most importantly, it promises to make a perfect cup of tea or ramen noodles in seconds. Sadly, we have no release date or price for this one, but we’ll be eager to try it when we do.